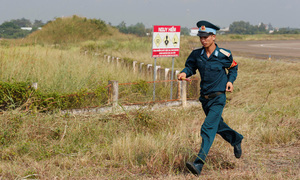 Work has begun on an effort to expand an emergency tunnel that runs beneath the Hai Van Pass in central Vietnam. Vietnam’s road authorities recently announced that cracks found in the arch of the Hai Van Tunnel do not pose a threat to vehicles. The fractures appeared due to the expansion of the tunnel’s concrete walls. 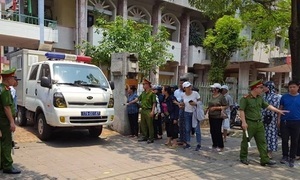 The 6.2 kilometer tunnel ranks as the largest in the region and opened to traffic in June 2005 linking Da Nang City to Thua Thien Hue Province, according to the Directorate for Roads of Vietnam. 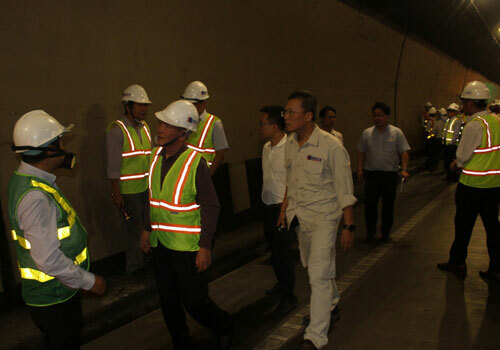 The Hai Van Tunnel’s management board hired the Alpin Technik consultancy to inspect it in late 2015, the board’s director Do Van Nam told VnExpress. 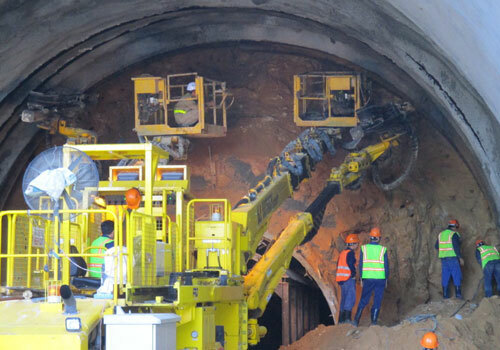 The German consultancy found that just 2.5 percent of the cracks in the tunnel ceiling posed a threat to vehicles traveling through the tunnel, said Nam, who also directs the tunnel’s main investor, the Deo Ca Investment Joint Stock Company. 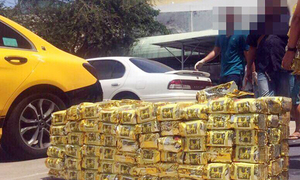 Deo Ca made repairs to the dangerous cracks and the ministry of transport appraised the company’s work, he said. The same ministry gave Deo Ca permission to blast every day since March during construction of the Hai Van 2 Tunnel. “We assure you the explosions have nothing to do with the cracks in the first tunnel,” he said. The Hai Van Tunnel is 11.9 meters wide. 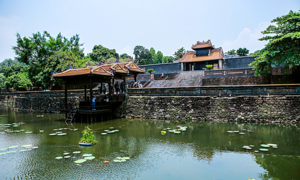 The pathway that will become the Hai Van 2 is currently used for maintenance and emergencies; an increase in traffic inspired the plan to expand the it to 9.7 meters by 2020.